racketboy.com - View topic - Are you the original owner of your retro systems? Are you the original owner of your retro systems? Re: Are you the original owner of your retro systems? Still have my original Atari 2600. Pretty sure it still works, though I never use it since I got a used 7800. It's my electronic teddy bear, though. I'll never throw it away, even if it stops working. My Nintendo retro stuff is all original: NES, SNES, GameBoy, Gameboy Pocket. My Sega stuff is all used: Master System, Genesis, Sega CD. The Jag is used. Just sold a used TG-16 and a used Saturn. Keeping a used Dreamcast, but it's hella noisy. The N64 is original, but it's going away if anyone ever bids on it on eBay. One of the benefits of retro stuff is you can buy used and feel pretty confident about it working well no matter how old it is. I'm pretty wary of used disc-based systems. Luke wrote: We all like to vent, why not vent here? My NES, SNES, N64, and PS2 were all bought near launch by me. My GameCube was bought recently used. Atari 2600 - dead now. My first system. NES - Got it a Service Merchandise for christmas, I think it was 86". It still works, I thought dead 10 years ago but now it works perfect. Can't find my original power pad its buried some where at my parents. SNES - Bought at Wal-mart. Paid half the rest was paid by my Granny for my birthday. Still plays great but the top yellowed. Genesis - I got this bundled with the sega cd in christmas 93. My father had a points bonus at work that he could use to buy items from cataloges. Besides the Sega CD combo he bought us a Go-Kart with the points. I sold off the sega cd like an idiot but the sega is still up and running. N64 - This was a christmas present. I think it was bought at a Best Buy. Its hooked up and used still, never a problem with it. Can't say the same for the original controllers. Dreamcast - bought in 99' no problems so far. Besides retro I bought my GBA, GBA SP, GCN and PS2 new. I would have to say the only system I am the original owner of are my SNES and PS1(crapped out). Everything else I got preowned(though some where store returns). My Atari 2600, still have the box. The only systems I got new are my GBC, my GBA, My PS2, and my PS3. I did buy a GBASP with my Christmas money that year or so it came out, but that SP has since been lost/stolen. But other than that all my systems were bought used. Hey! Is this a trick to guesstimate how Retro the owners are? My current inventory at my signature link. Here are the ones I bought brand new, proudly still own, all still work. APF MP1000 - having already played 2600, wanted something different. Montgomery Wards had these on display, only place I saw it. To get extra games had to go thru that big annual catalog. Company used to make home pong games now outta business. The number buttons a sell at the time. Worse bubble switches ever, almost as bad as the 5200 controller fire buttons. BLOCKOUT a good game except when a bubble switch would slip out from under the stick. Identical cartridge slot as the Emerson Arcadia 2001, unfortunately not compatible. 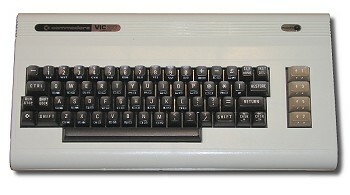 VIC20 - a lovely 22 column color computer, chose instead of TI99 due to built in standard BASIC language. Atari 400 membrane key couldn't compete with keys of the Vic. Many an hour typing in Compute and Gazette game codes. Super Expander, 16k Ram, 8k ram, 3k Ram, even back then was OCD collector nuts. 22 column SIRUS TYPE ATTACK a lot better compared to 40 column versions. OMEGA RACE with 2600 paddles! Anyone remember SHAMUS? ATARI 5200 - a monster of a machine with both my Williams favorites ROBOTRON and DEFENDER, got decent self centering potentiometer Wicos later. Also got exclusive RED BOUNTY BOB direct from Big 5 office. The 4 port single power/RF wire unit. 5200 has the best Trakball, great for Centipede and Missile Command. 2600 Adapter with leaf switch Wicos. 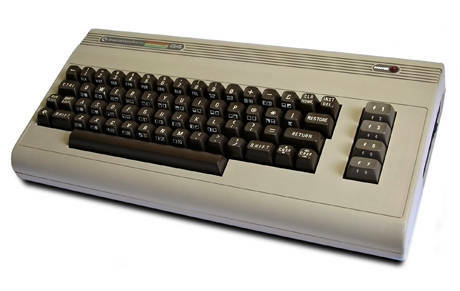 COMMODORE 64 - Original Tan model. The mainstay distraction from 5200 game play time, westridge 300 baud downloads, modded with 80 column board, Koala Pad , Flexidraw lightpen, cart expansion board, reset switch, 1541s got reset and 8 to 9 address, drive heads got scale tracker. Added a hardwired number pad for all the Gazette magazine machine language codes. MSD Dual drive. Numerous Utility carts including Final Cart, EPYX Fast Load, Rabbit with datasette, Super Snapshot, Magic Voice, CPM cart, 1764 Ram and a very rare Turbo Master 4 Mhz speedup cart. SubLogic Jet 2.0 actually very playable with that cart. 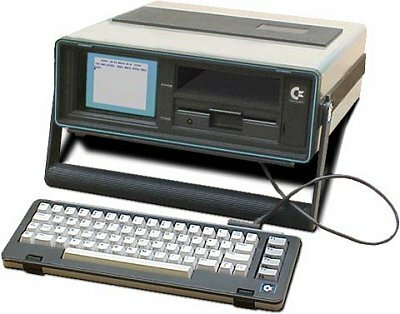 I was so occupied with this computer that NES, Master, TG16, SNES and Genesis slipped by. Hey SPACE TAXI and WIZARD! COMMODORE SX64 - so cool hadda have it, bought when being phased out, modded to watch regular video in that tiny color monitor. Your miniature own paper model here! ATARI 7800 - had to follow thru owning 5200 when I heard of two player exclusives. Another carpe-joystick cramp! At least Europe got the better pads. Where's Niode? PIONEER LD660 and LD-1100 Laser Player - Very first movie purchased, Empire Strikes Back which blew VHS versions away. Gas Tube Laser, a start of OCD movie collection, later bought newer machines with jog shuttle dials. 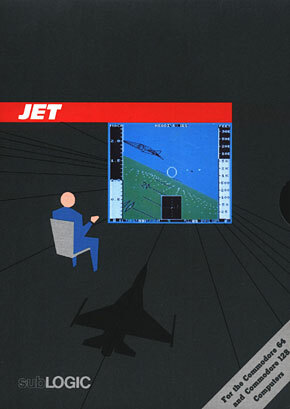 C64 JET 2.0 An early very cool real flight sim. Own this rare Speedup cart to make it fly. I think mine just says SPACE ALERT, now where did I put this! Last edited by CRTGAMER on Wed Feb 08, 2017 11:57 pm, edited 12 times in total. We had two NES consoles and One with Power Pad include. One them was given to my close cousin with all games, about 20 games. Then my cousin sold it to my female cousin husband. He then gave it away. Then he re-purchased a used console with most of games he wanted. 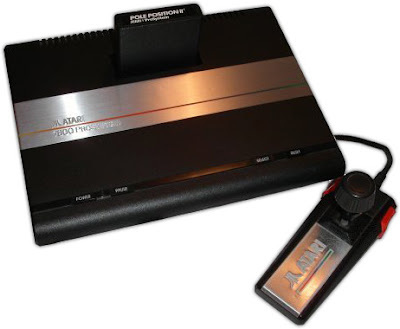 In between that time my first console gift was Atari 7800, It was neat to have own at time. I didn't want to give it away, but had to only because I owned the sega genesis. Still own a working Sega Genesis console and recently fix it. The 3rd party controllers don't work and are now faulty. I tried to fix the sega controller but it didn't work. Next came original gameboy with good amount of games. still own working. Next is Nintendo 64 still works today. I did kind of regret owning it because there were not enough good games compared to PS1. I dislike it only because of missing FMV cut scenes. One thing that I disliked about Nintendo was Voice acting in a game, that would have been nice. Just imagine think link, super mario bros, Donkey kong talking instead of text ingame. I do remember Donkey kong 3d show. Next was PS2 loved it, work great still. Was truly my DVD player compared to tank VHS in my room. I re-bought A nes console back in the late 1990s and repurchased 95 percent of games once had. I grew up with neighborhood middle school kids playing NES and I wanted this console for yeeeeaaarrrs. My parents didn't have the money to spare on a console, so I rode my bike around with one of them accompanying me and collected aluminum cans around the neighborhood in order to recycle them. People saw me come around enough that they eventually started saving up huge bags and giving them to me when I came by. I eventually had enough money and bought the NES Challenge Set from Wal Mart... the SNES was already out at this time but I got the NES because it had the games I loved. I don't specifically remember getting this console but the purchase date is on the back of the box so I believe it was for Christmas. The main thing I remember about this console is that I never really had that many games for it. I do have all the Donkey Kong Country games which I still love to this day. I remember not knowing anything about this system till I saw it show up in Wal Mart with the Super Mario 64 demo... I played it and was amazed. I didn't have enough money at the time to buy it near launch, but I saved up money and eventually bought it (I remember my parents bought me a game or 2 when I got it). To this day I still love Super Mario 64, OoT and the Banjo series; some of my highest rated games. Family was going on a long road trip vacation so I wanted some portable gaming to do instead of being bored. Ever since then I have had portables to play on these trips; although I didn't play them too much aside from vacations. More vacations and a new hand held system meant it was time to upgrade. I remember playing Super Mario World Advance to death... even with adding in the Yoshi coins to collect. I remember going to Wal Mart at night with a friend to camp out 24hrs before the launch of the system. We brought a laptop with a couple logitech usb controllers to play emulator games on (while using an extension cord to steal power from a Wal Mart Garden outlet). Also had chairs, blankets, etc... I wouldn't wait outside again but it is definitely something to experience once. I remember getting home with the Wii, popping in Twilight Princess, and passing out while fishing in the game. I was given my super nintendo on my 7th birthday but my sister currently has that system. I have since then bought a few more snes consoles as it's my favorite system to date! I actually recently bought the mini version released in 97. I also still have my original N64 that I got for my 12th birthday.